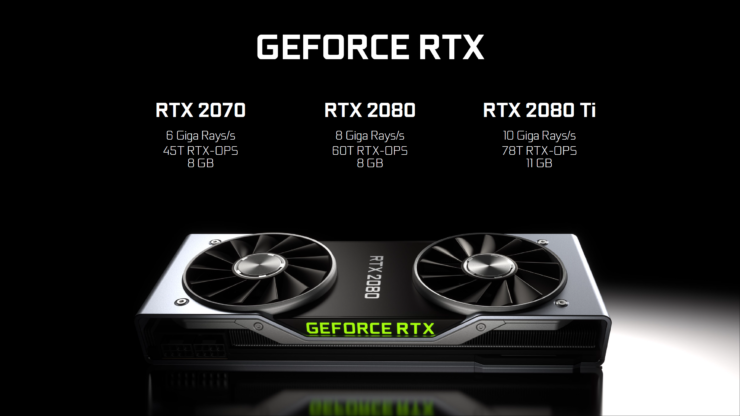 The first benchmark of the NVIDIA GeForce RTX 2080 graphics card running on the latest drivers has been leaked. The driver has shipped out to reviewers who are now testing their samples but one of them accidentally uploaded the results to the Futuremark 3Dmark database which we can take a look at. 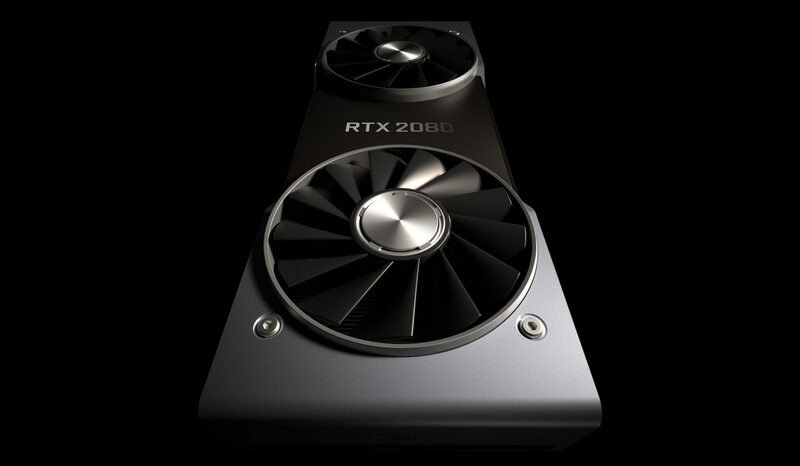 More details on the GeForce RTX 20 series graphics cards will be released later today but they will not include performance benchmarks. Those would come on a later date before market availability on 20th Septemeber. But with users starting to test their cards, there are bound to be some leaks and that has just happened. NVIDIA also unveiled more official performance results yesterday at GTC Japan 2018 which you may be interested to check out over here. 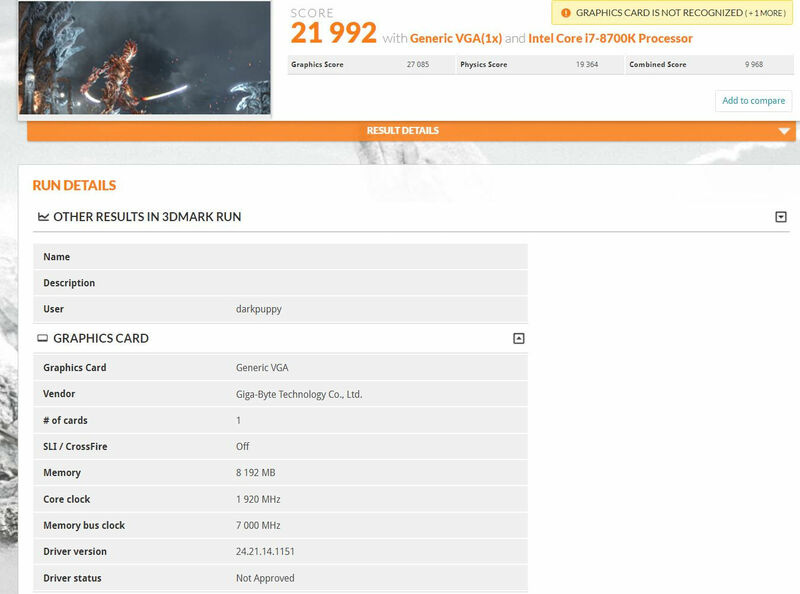 The GeForce RTX 2080 was benchmarked in the 3DMark Timespy benchmark (via TUM APISAK) with the latest 411.51 GeForce drivers which will fully support the new GeForce RTX 20 series graphics cards. The GeForce RTX 2080 was tested on a PC with a Core i7-8700K and 16 GB of DDR4 memory which is a standard high-end gaming PC setup. 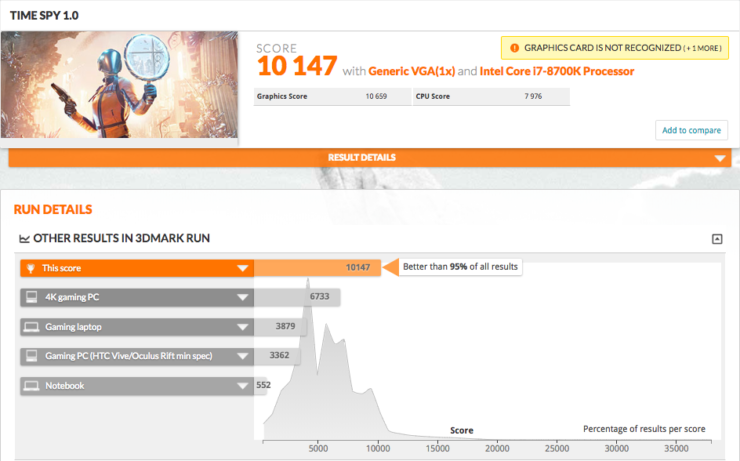 In the benchmark, the graphics card scored 10,147 points and 10,659 graphics points. The memory was clocked at reference speeds of 7000 MHz (that’s 14,000 MHz effective) and the chip clocked in at 1875 MHz which should be the standard boost clock for Turing TU104 based GPUs. Compared to the GeForce GTX 1080 Ti and Titan XP, we see faster performance when comparing at stock and we can definitely expect higher performance with overclocking. 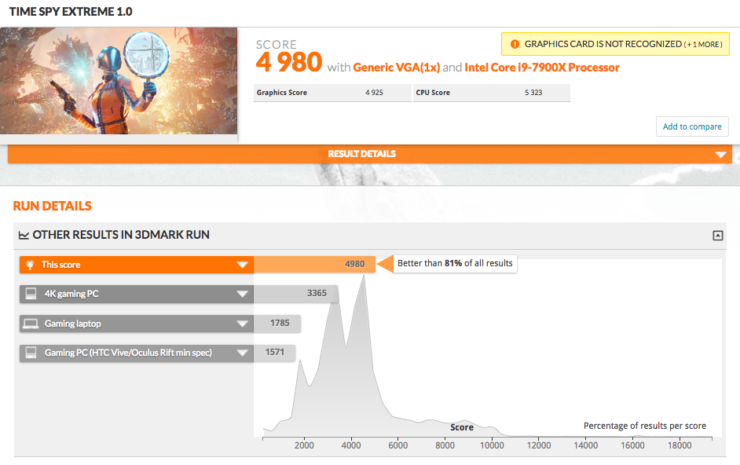 In addition to that, the 3DMark Firestrike graphics score is said to be in the range of 27,000 points which is a good bit higher than the GeForce GTX 1080 Ti even when its overclocked. 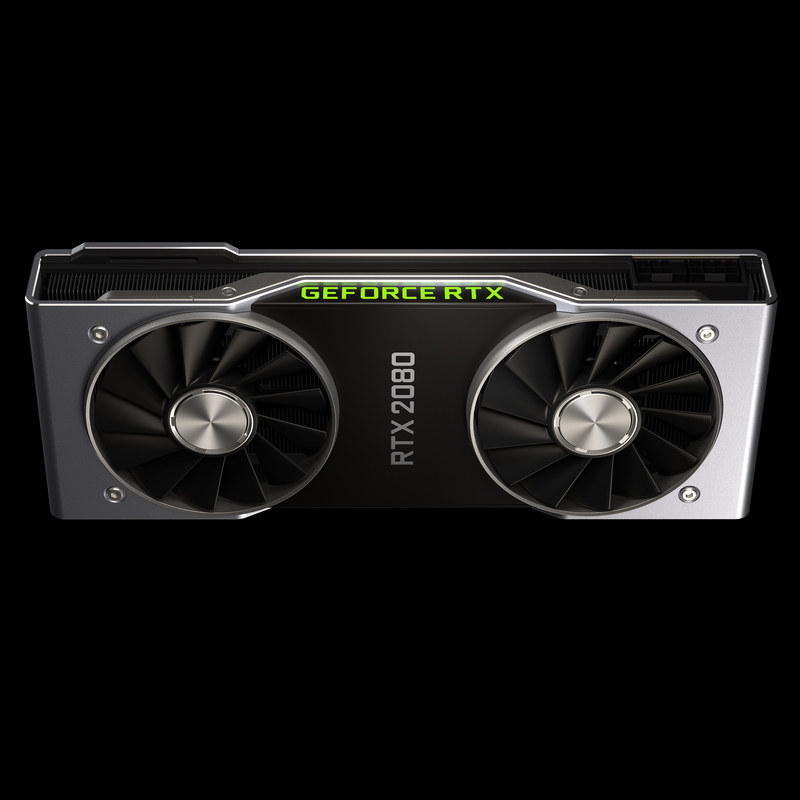 The NVIDIA GeForce RTX 2080 is officially announced as NVIDIA’s perfect solution for gamers. 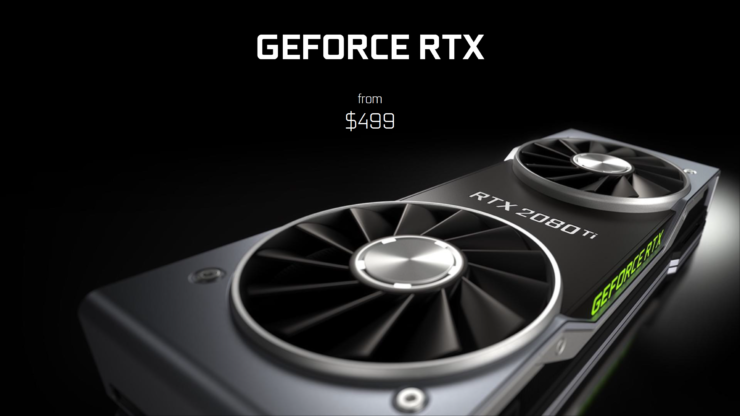 Launching next month, the GeForce RTX 2080 aims to provide the best gaming performance compared to the previous generation and doing so at just $699 US which is a stunning price for a card that packs so much performance. 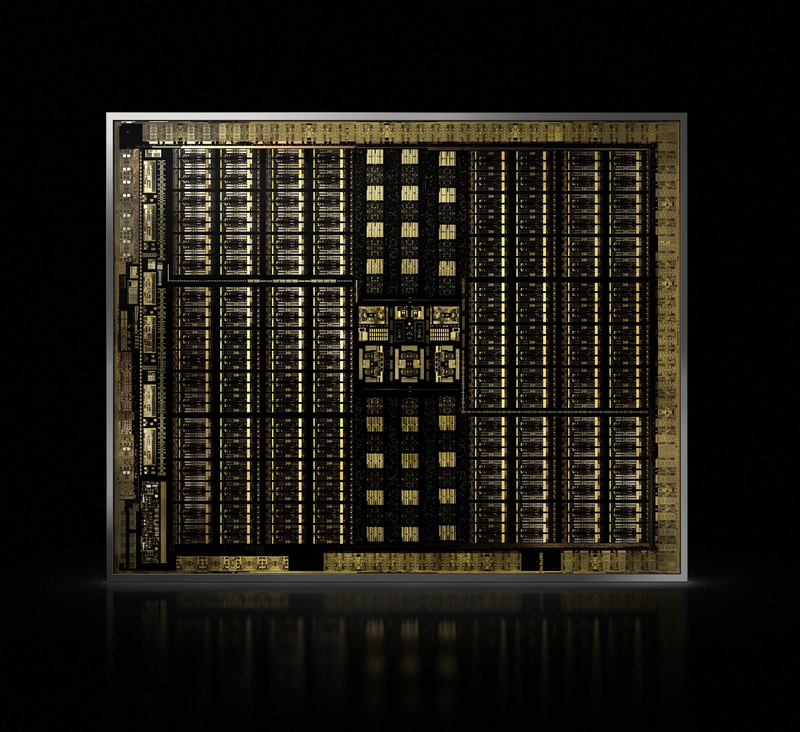 The NVIDIA GeForce RTX 2080 features the TU104 GPU (TU104-400-A1) core which comprises of 2944 CUDA cores. NVIDIA’s 12nm FinFET architecture allows higher core count while retaining faster clock speeds which we have already seen on Pascal cards. The chip houses 13.6 Billion transistors which are a nice jump compared to the 7.2 Billion transistors on the Pascal GP104 GPU. 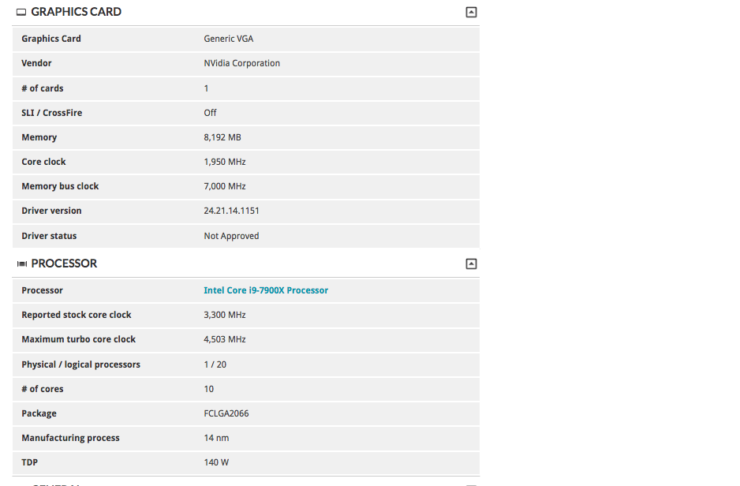 The card delivers much higher performance due to enhanced core design that adds incremental IPC gains. 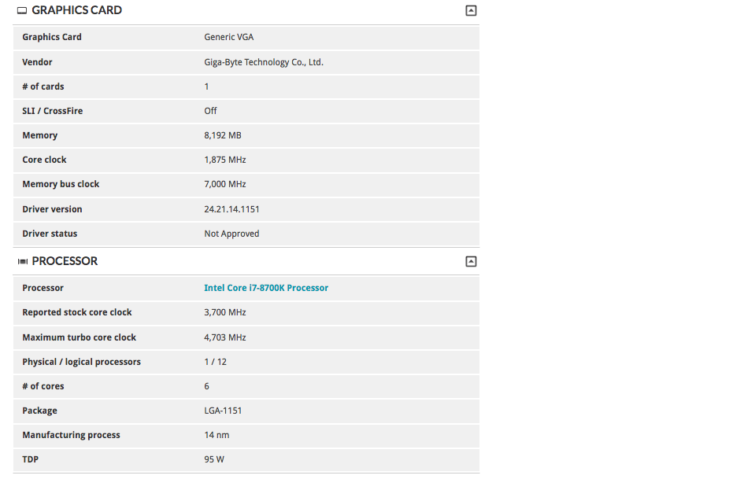 The actual clock speeds are maintained at 1515 MHz base and 1710 MHz boost (1800 MHz+ OC). The chip features 8 GB of GDDR6 (next-gen) memory featured across a 256-bit bus and clocked at 14 GB/s. This leads to a total bandwidth of 448 GB/s. The NVIDIA GeForce RTX 2080 features just 215W TDP. Coupled with a very smooth power delivery system to avoid leakage, the chip is one of the most efficient GPU architecture ever designed for gamers. The display outputs for the card include 3 Display Port 1.4 (4K @ 120 Hz), 1 HDMI 2.0b (4K @ 60 Hz) and USB Type-C connector for the Virtual link which means that it is capable to support all next-gen displays with new standards. Power is fed through an 8 and 6 pin power configuration. For more details on the Founders Edition graphics card and its design, you can read our detailed article over here. 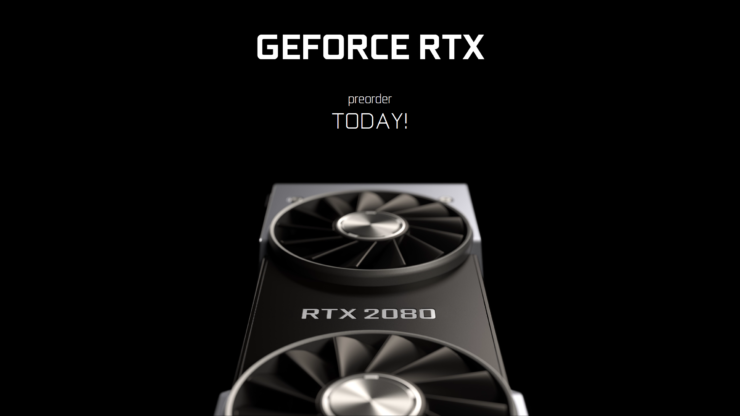 The NVIDIA GeForce RTX 20 series launches today in reference variants first. 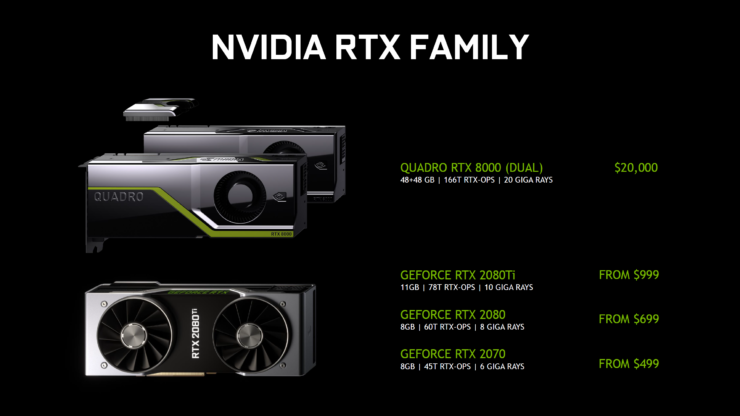 This time, NVIDIA has already given the green light to their manufacturers to announce custom cards soon after the reference launch which are now available to pre-order on the official webpage. Or you can head over to this article and check out all the glorious non-reference models which you will be able to get very soon. The one thing we should tell is that the performance numbers are still under wraps till 19th August which leaves little or no time for consumers to reconsider the pre-orders since the availability is a day later or less than 24 hours. 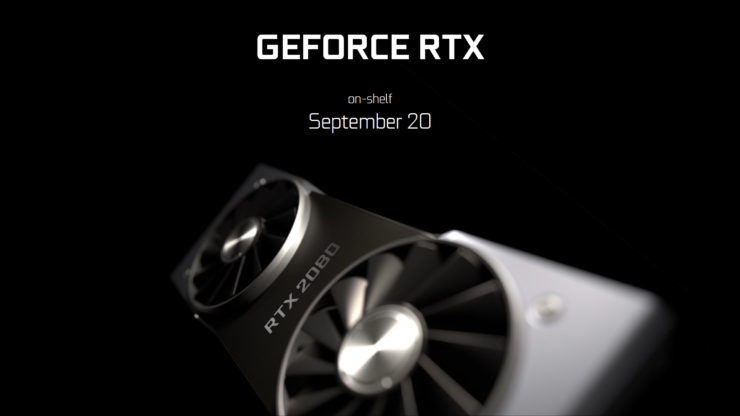 The reviews for the RTX 2080 Ti and RTX 2080 will go live on 19th September at the same time, but if you are planning to buy one, or already pre-ordered one, but going to reconsider your purchase, then you will have little to think. Which NVIDIA GeForce RTX 20 Series graphics card are you buying?